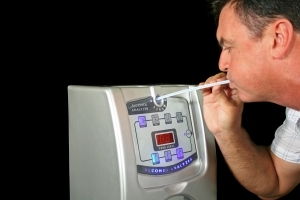 The breathalyzer test is commonly used to determine whether a driver is under the influence. In comparison to other testing methods like a blood draw sample, the breathalyzer is known for lacking accuracy in some situations. Getting a false positive is likely if you have certain medical conditions or if you’ve used mouthwash before going out. How easy is it, however, to trick the breathalyzer and get a false negative? Is that even possible? If you do some research, you’ll come across dozens of myths about the breathalyzer and the ways to beat it. Some of these myths have managed to persevere regardless of the fact they were proven wrong time and time again. One of these common myths is that sucking on a penny can help you beat the breathalyzer. Placing a copper penny in your mouth does not have any effect on the reading you’re going to get. There are also recommendations for hyperventilating or holding your breath before doing the test. One clinical study showed that vigorous exercise (very high intensity) can lower a BAC reading by as much as 10 percent. Holding your breath has the exact opposite effect – it can artificially elevate the reading. It’s obvious that you cannot do intense physical activity before a police officer asks you to do the test. Hence, while very vigorous physical activity can reduce your reading, the strategy is quite impractical and even impossible to apply. Final Verdict: Can You Beat the Breathalyzer? Most of the strategies you’ll find online for beating the breathalyzer test do not work. The same applies to the various products sold out there. Numerous websites advertise potions, pills and elixirs you can consume before getting in the car in order to lower your BAC reading. Don’t spend your money on such “products” because they do not work. The wisest thing to do is to refrain from drinking or if you consume alcohol, have somebody else driving the car. The reason why most of the techniques and the products fail is that the air being tested via the device comes from the lungs and not the mouth. Mints, coins, herbal potions could change the flora in your mouth but they will have no effect whatsoever on the composition of the air you’re exhaling. A breathalyzer test is not 100 percent accurate or reliable. Even if you get a positive BAC reading, you can challenge the test results if you know that you haven’t consumed any alcohol. There is no option for refusing the breathalyzer test if a police officer asks you to go through with it. If you do, you’ll be violating Arizona’s implied consent regulations and you will have your license revoked. This will happen even if you haven’t consumed any alcohol. Instead, you should cooperate and do the test. Once you do the test, you should get in touch with a DUI attorney immediately. Your lawyer will give you some idea about what to do next, how to cooperate with police officers and what to do in order to refrain from self-incrimination. An attorney can challenge the results as being falsely positive or they can challenge the procedure. Claiming that the test wasn’t administered correctly or that the technician did not have the knowledge or training required to give you the test can lead to the evidence being dismissed. A final reminder – do not consume alcohol and get in the vehicle. Apart from eventually getting in legal trouble, you could also put yourself and others in danger. In such instances, thinking of ways to fool the breathalyzer test will be the least of your worries. 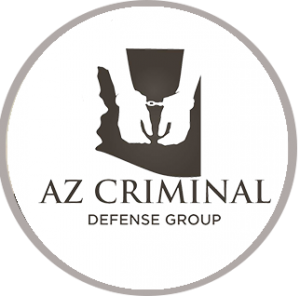 Click here to find out can you refuse to speak to police in Arizona after being stopped.